A simple solution to difficult situations is always welcome, and where solvent cementing systems carrying aggressive chemicals is concerned, we’ve got the answer. Existing products for this duty require repeated application of water-thin solutions and cements, and depend upon a tight interference fit between the pipe and fitting to make a good joint. "Weld-On 724" has a heavy bodied, thixotropic formulae, and can be brush applied using traditional solvent welding methods. It has excellent gap-filling properties, and can be used on both PVC-U or PVC-C piping systems. 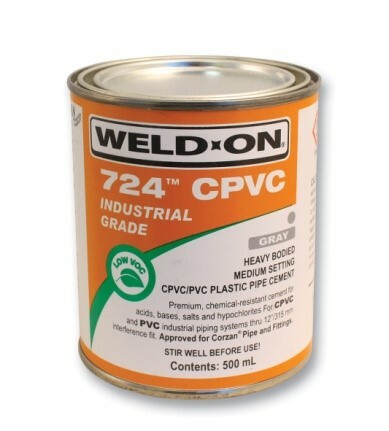 Used in conjunction with “Weld-On P70 Primer”, “Weld-On 724” cement is reliable, fast and easy to work with in difficult site conditions. Once assembled, a finished joint is resistant to high concentrations of sulphuric, hydrochloric, nitric and hydrofluoric acids. These fluids will chemically attack standard pipe cements, and can lead to potential joint failure. 724 Cement is just one of a number of speciality cements we carry. For information on the full range, or 724 in particular, please get in touch. RM Pressfit Price list – coming soon! We are putting the final touches to our new price list for the complete RM Pressfit range. This includes Steel, Copper and Stainless Steel together with installation tools and accessories. 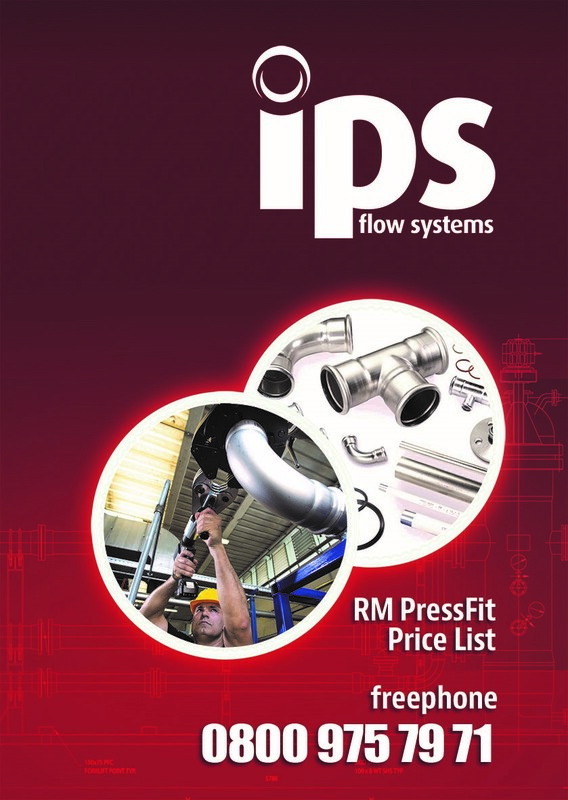 We will be sending copies out to all existing customers in the next few weeks, but if you would like to ensure you receive your personal copy, please send us your details by e-mail to:-sales@ipsflowsystems.com and we will ensure a priority copy is sent to you. Please put RM Pricelist in the subject line. In the meantime, if you would like any further information on the RM Pressfit range, please let us know. 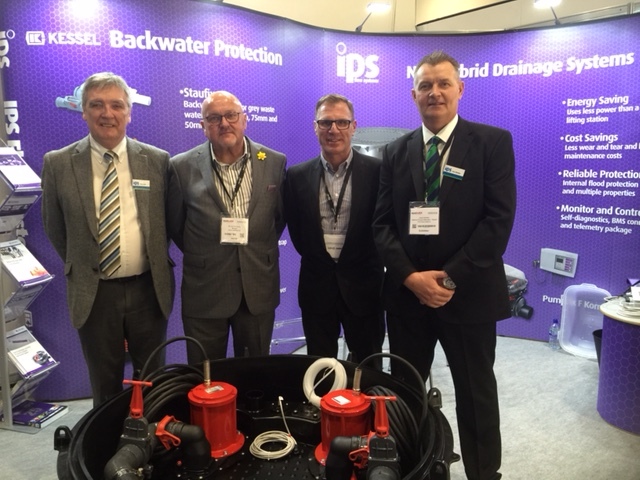 We’ve had a great few days at EcoBuild, meeting customers old and new, while showcasing many of the products from the Kessel backwater prevention range. Amongst the visitors were John DeGruchy and Trevor Webb from Durey Castings, who had some news of their own to tell us about. Durey Castings have been developing a large range of flood prevention products over the last few years and they have now to set up a new division called Flood Fortress to drive this system forward. With a dedicated management team and soon to be launched website, everyone is excited for the future of this latest venture. 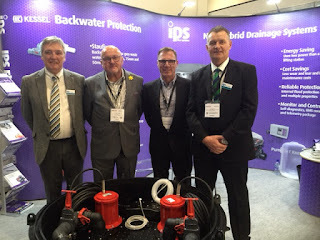 We wish John and Trevor every success with the new division and look forward to working with them to further develop the Kessel flood prevention products they currently stock. For further information on any of the Kessel range, please contact our Sales Team, or Dave Whalley, our Kessel Product Manager on 07469 859871.